Inner Alchemy offers both Face to Face and Online Aromatherapy Workshops. Read the information below and choose a class that resonates with your time, your life and your needs. Our Face to Face FREE Aromatherapy Workshops are small, fun and hands on. You get to feel, smell and experience the aromatic journey that is associated with beautiful, high quality, therapeutic essential oils. If you have no experience with essential oils, we recommend you do the introduction to aromatherapy first, it is called "Nature's Wisdom – An Introduction to Aromatherapy, Essential Oils and Aromatic Medicine". This is a good place to learn the basics. in your home, with your family and animals! Therapeutic medicinal grade essential oils are considered to be the leading edge of natural healing. They have been used throughout history as medicine, to ease pain, depression, and stress. They are able to work in a profoundly 'intelligent' way on the body, mind, emotions and spirit. This is not a typical Aromatherapy Classes! PLEASE NOTE: No Essential Oil Experience is Necessary. Bookings for each Workshop is essential. 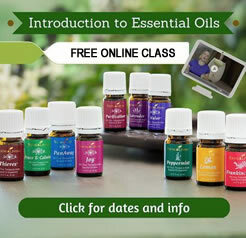 In this class you will learn how to use essential oils for nursing, babies and children. You'll learn natural ways to address the common everyday health challenges our children throw at us on a daily basis. How to take care of children's first-aid needs at home, using all-natural, safe, chemical free essentials oils, with no unwanted side-effects. In this hand-on, Face to Face Class you will get to smell and try many of the natural 100% therapeutic grade essential oils and blends to address colds, flu and respiratory issues. Some essential oils have been used for thousands of years to aid the discomfort of common colds and flu. We also have some really beautiful essential oil blends that have been blended for their strength and synergy in working together to fight colds, flu and respiritory problems. This Face to Face class is one of our most popular classes because so many of us suffer either short term or chronic pain at some time in our lives. Whether it be due to illness or injury, in this class, you will learn what essential oils can be used to manage pain naturally and with the correct use, will be able to ease or resolve your chronic, nagging pain issues naturally without he tside effects of many prescritpion or over the counter medications. We all know someone who's suffering with poor sleep, anxiety, stress, depression or other sorts of health challenges. In this class you’ll learn how to use medicinal therapeutic grade essential oils in practical ways for health and emotional well-being. We discuss natural ways to ease pain, improve sleep, calm restless children, restore a calm and balanced mood, ease stress and anxiety, enhance mental focus. We show you how to replace common over-the-counter medications, laced with harmful, synthetic chemicals with natural, healing, therapeutic grade essential oils for everyday simple first-aid needs. Most people believe that having balanced chakras is a foundation of emotional and spiritual health. Everybody knows there are healers who can do that for you. But most people are really excited and curious to find out how they can quickly and easily balance their chakras themselves. Would it be okay if I show you how you can balance your chakras in 90 seconds a day using essential oils? In this class you'll learn about the vibrational frequency benefits of therapeutic grade essential oils. Which oils to use and how to use them to balance the Chakras. Discover how essential oils can help with gentle emotional release. You will also see demonstrated how to give a Valor Balance to another person and also how you can give a Valor Balance to yourself. If you are suffering from a serious or chronic illness, please make sure you consult your medical professional before using essential oils, or products. We also offer FREE Introductory On-Line courses, which are designed to give you a basic outline of the benefits and concepts of the use of Essential Oils. For more information on these style of courses, please contact us for further information on (02) 88145201 or click on the Free Online Class image on this page to register for a class that suits.